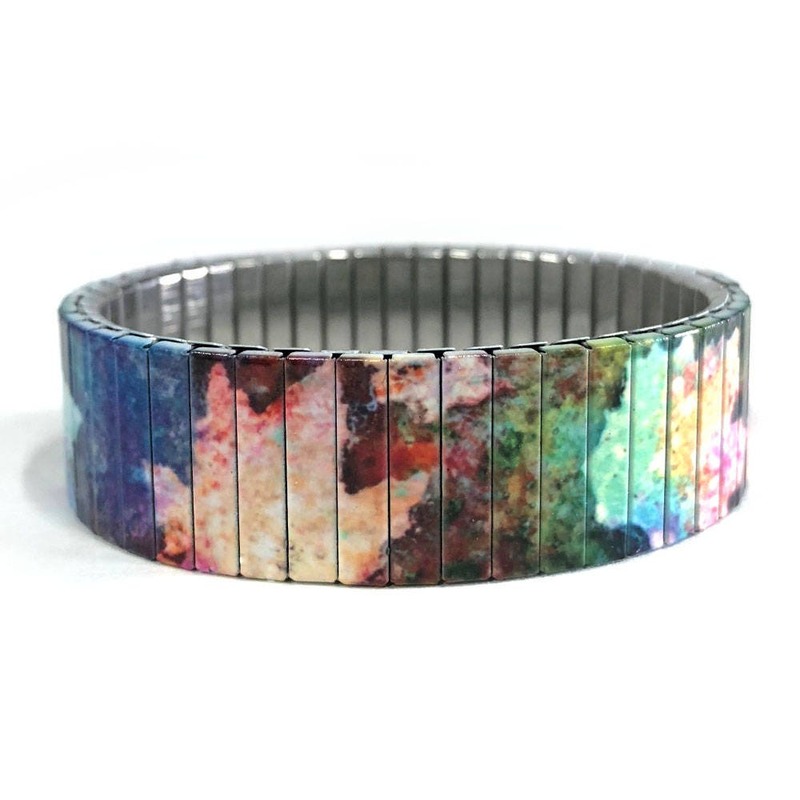 Stretch bracelet representing a reflection on the water of colorful fall leaves. 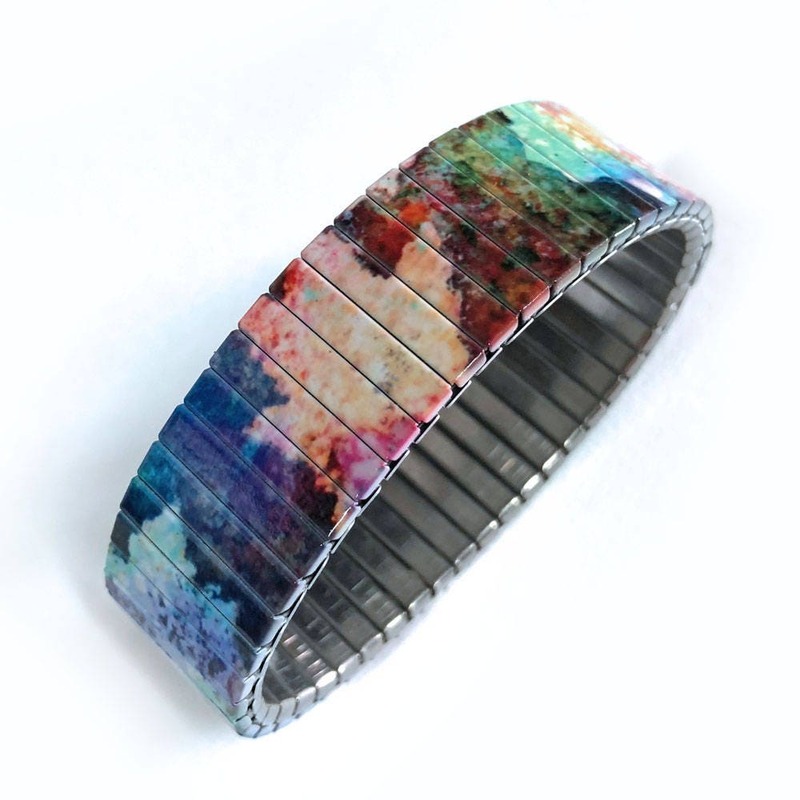 Wrist-Art is made with the process of sublimation (heat transfer) The art is "baked" into the surface of the bracelet and is very durable. 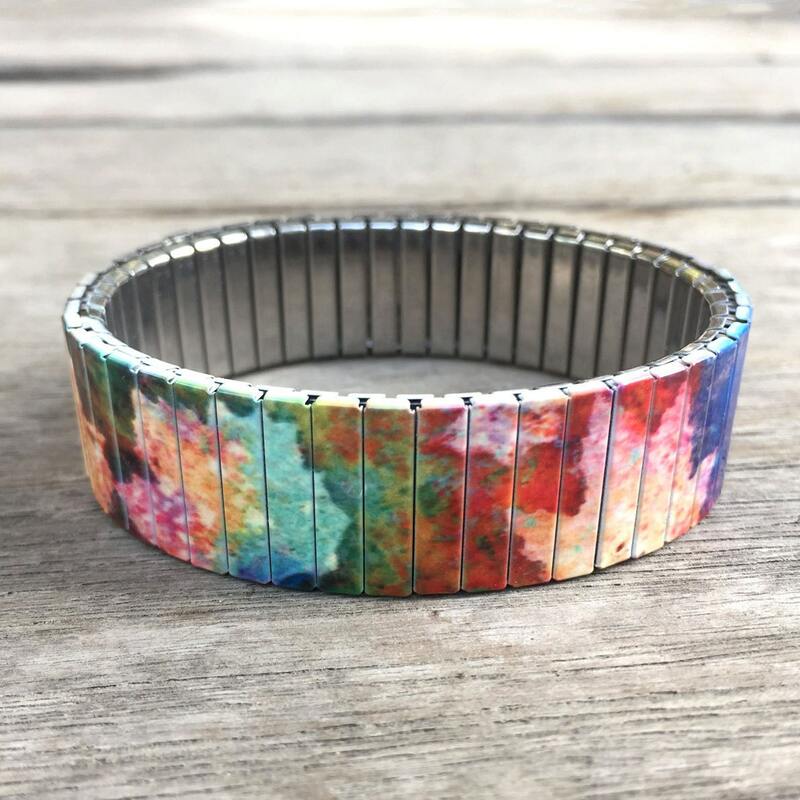 Wrist-Art is made of comfortable repurposed stainless steel watch band and since it is made of stainless steel it will never rust. 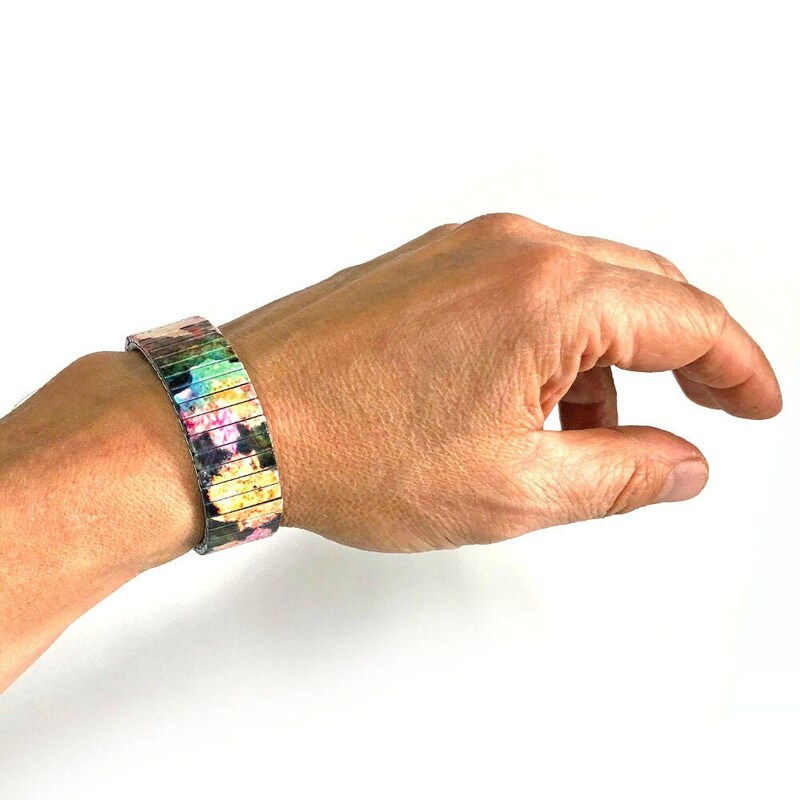 The size can be made to fit, simply add the circumference of your wrist when you order. If your size is not mention, simply send me a convo with the size of your wrist. All my bracelets are made to order and can be custom made. It makes a great gift for your close friends, for the 11th year anniversary gift or even for yourself! 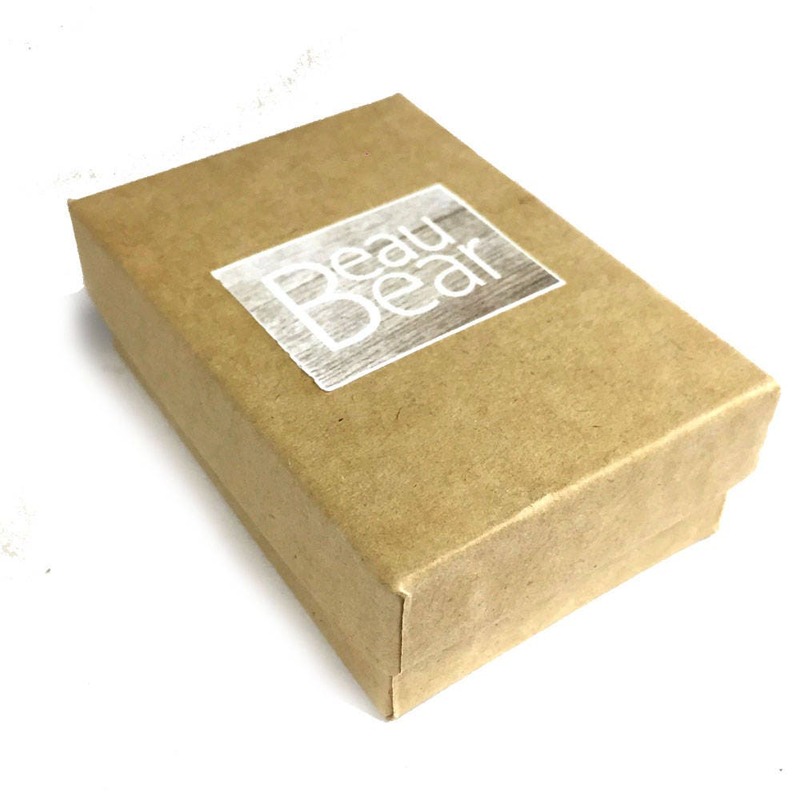 Each Wrist-Art is wrap in tissue paper and comes in a small cardboard box. 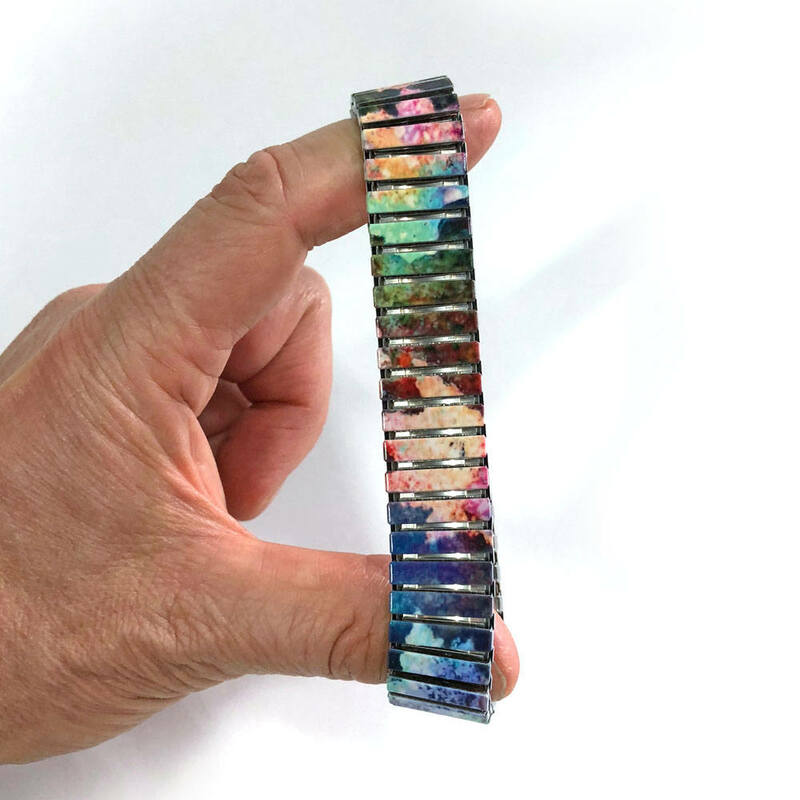 All my stretch bracelet can be made custom size, simply chose the desire size in the drop down menu. If your size is not available you can add your prefer size in the "note" section. 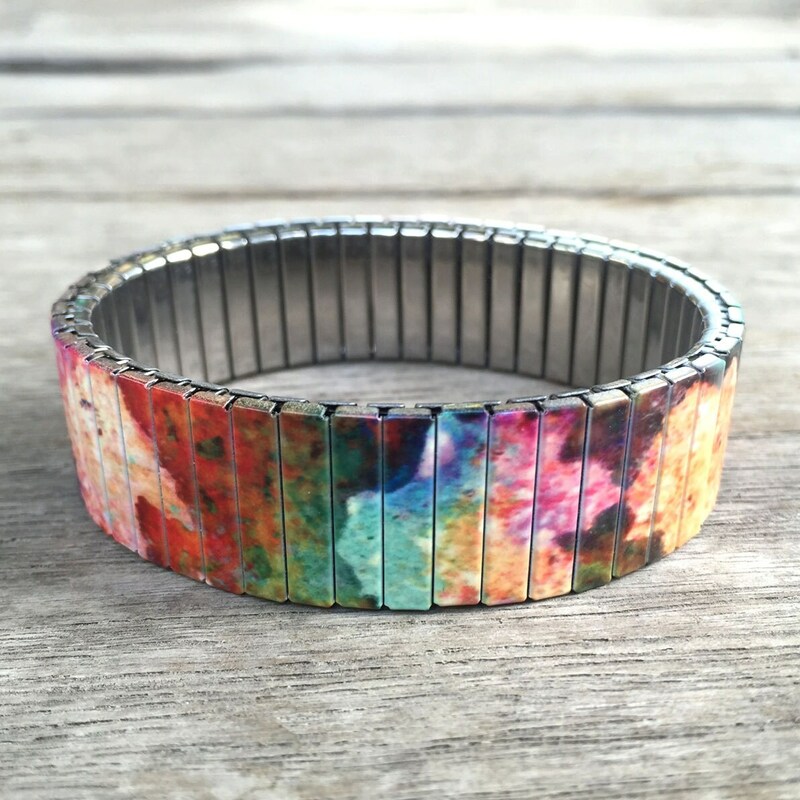 The bracelets won't rust since they are stainless steel. They are very sturdy, but sometime it can happen that a link get separated. 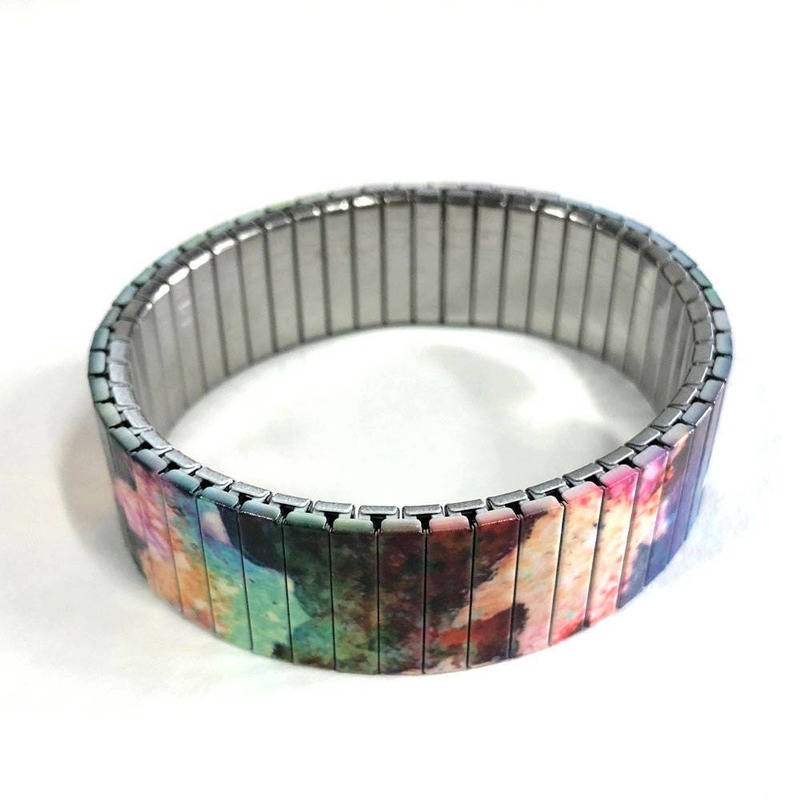 I will gladly repair the bracelet at no cost (you pay shipping only) or you can bring it to any jeweler that sell watch band, they will fix it at a very low cost.